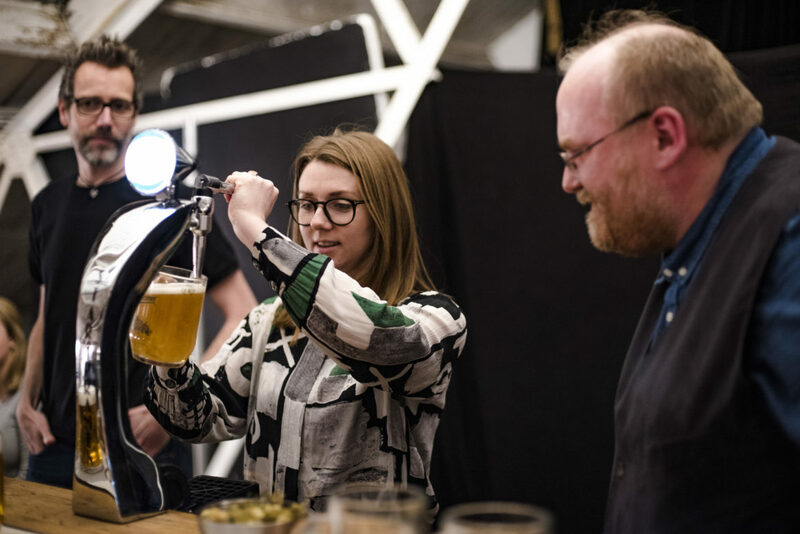 You may or may not know that we have just exited London beer week 2018. 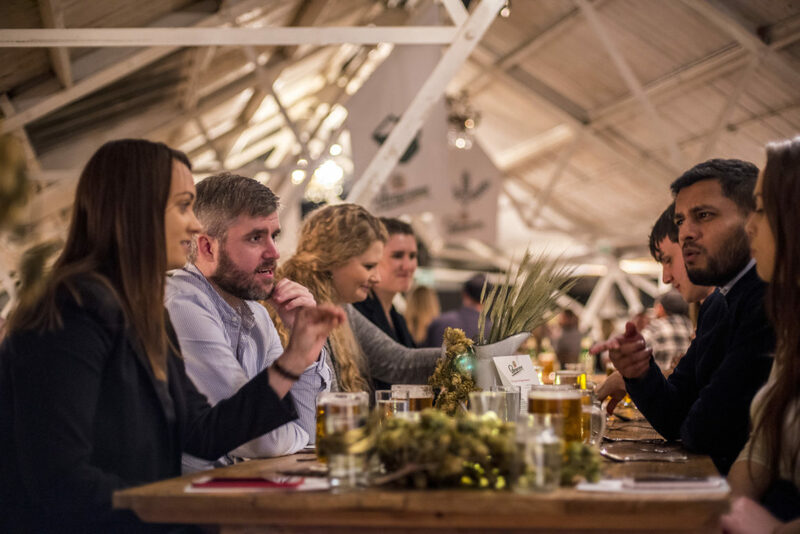 The period is perhaps not quite as well known as one would think but with a number of amazing alcohol fueled events to choose from, it’s well worth booking tickets in advance for next year’s festivities. 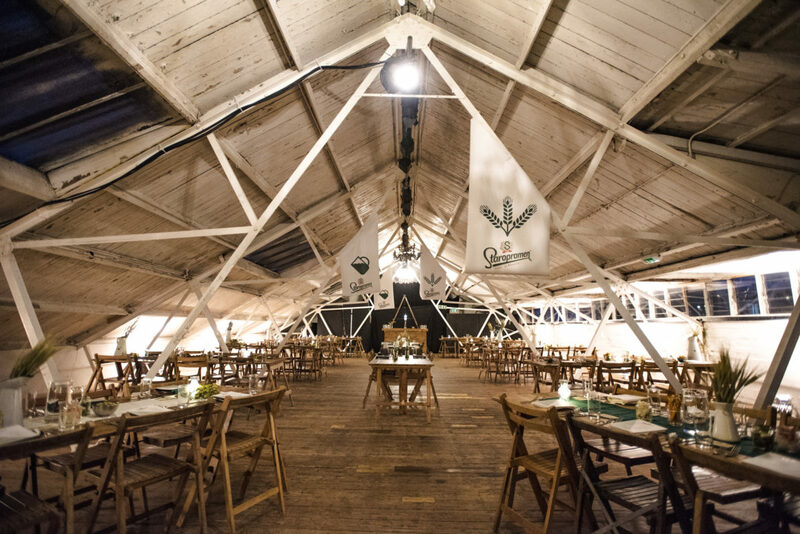 Off The Cuff were invited to celebrate with beer makers Staropramen in a secret East London location. 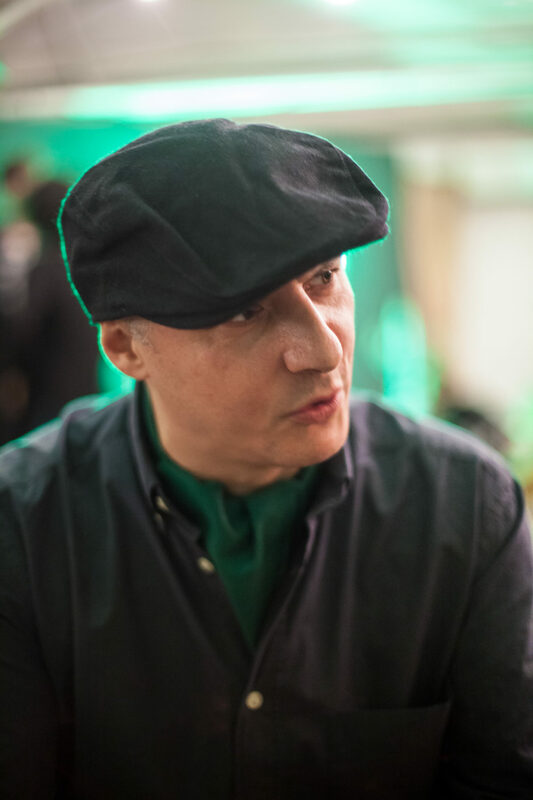 We weren’t quite sure what to think when we received a text providing us basic directional instructions, accompanied by the fact that a man in a bandanna would greet us at the door of said location …were we dining with a cowboy? No, it turned out we were dining with dedicated, enthusiastic and entertaining actors playing the roles of Czech tap masters and brew masters. 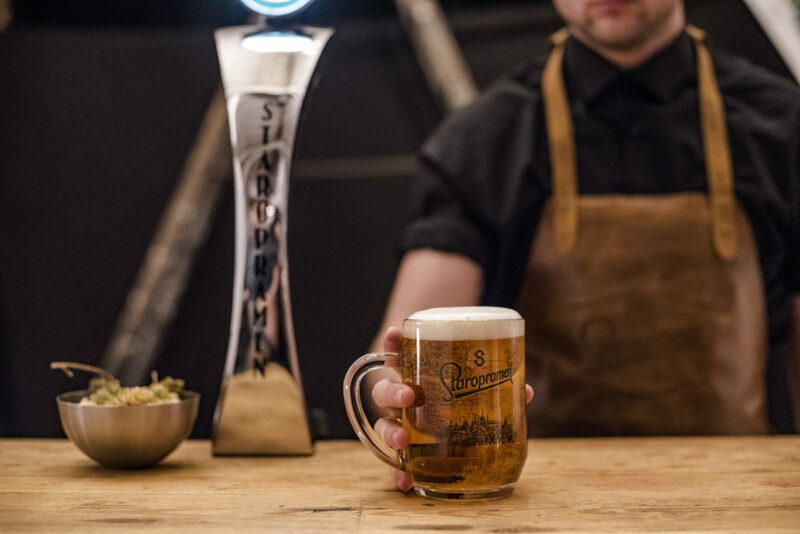 On entering the event, organised by Gingerline’s institute of Flavourology, we were assigned to our teams (Tap masters or Brew masters) and presented with our complimentary beer – Staropramen of course. The greetings from the leaders of the teams were friendly, if unusual, and we were encouraged to learn the choreography of the greeting handshake. We then relaxed in the retro decorated meeting area and mingled with other attendees before being called through to the dinning hall. 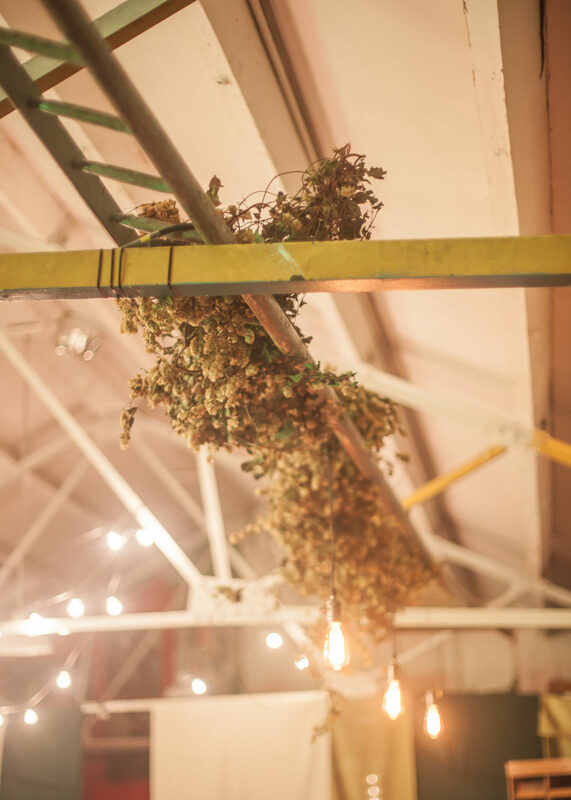 A beautifully rustic room decorated with hops and stripped vintage furniture created a buzz of excitement. We were formally introduced to the evening by a re-enactment of the disputes that occurred between the tap masters and brew masters in Prague. This was how each course of delectable dishes were presented. Sat with a mix of personalities and professions, the company was very interesting and we had a great laugh between attendees. 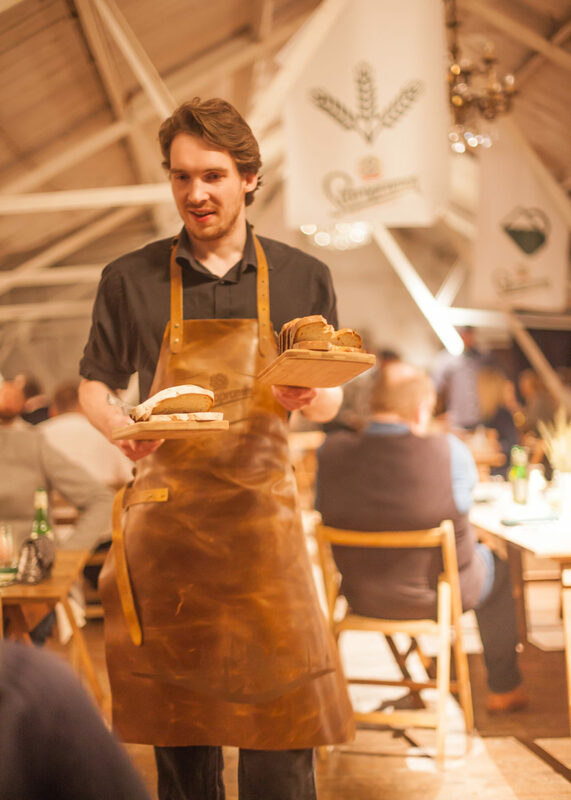 The feast began with Cremoso cheese fondue and was followed by further appetizers of creative adaptations of classic Czech dishes. In-between, a hilarious but informative competition was held between visitors, requiring them to pour the perfect pint. 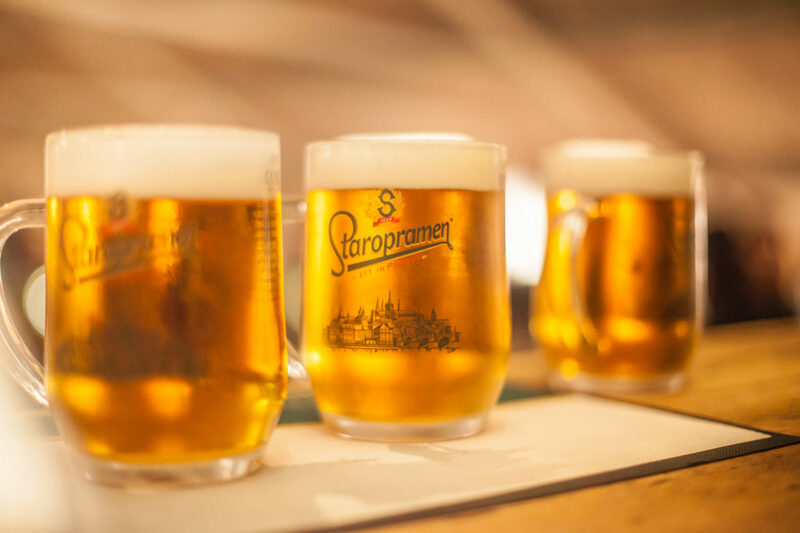 We were all winners, receiving a stein of beer to accompany our cuisine. For the main course roast duck breast and confit leg of duck was served with sour cherry sauce. Vegetarians tucked into beet wellington with quinoa and mushroom duxelle with tender stem broccoli. That was not all: spice-braised red cabbage, smoked potato gratin and herb cream sauce all laden the table. The aptly named “finale” was a mouthwatering mix of a dessert: coffee, malt and treacle tart, malted meringue shards, vanilla and burnt white chocolate parfait and candied pecans. Even if you didn’t have room for a pudding you made it with the sight of this delectable dream on a plate. Full and merry, the fun did not end there; the hosts happily encouraged song and dance to the upbeat violin music made before taking us through to the original bar space for a Czech style party. 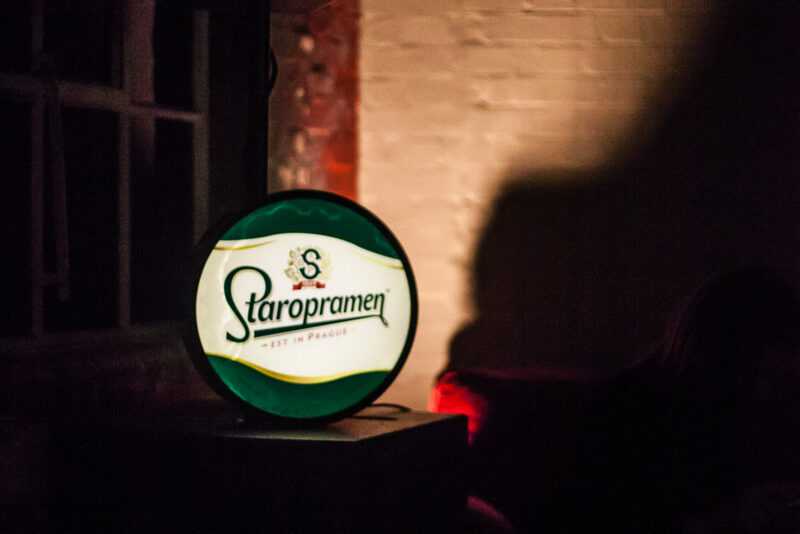 Laughs and smiles filled the Staropramen event and we left feeling incredibly content. 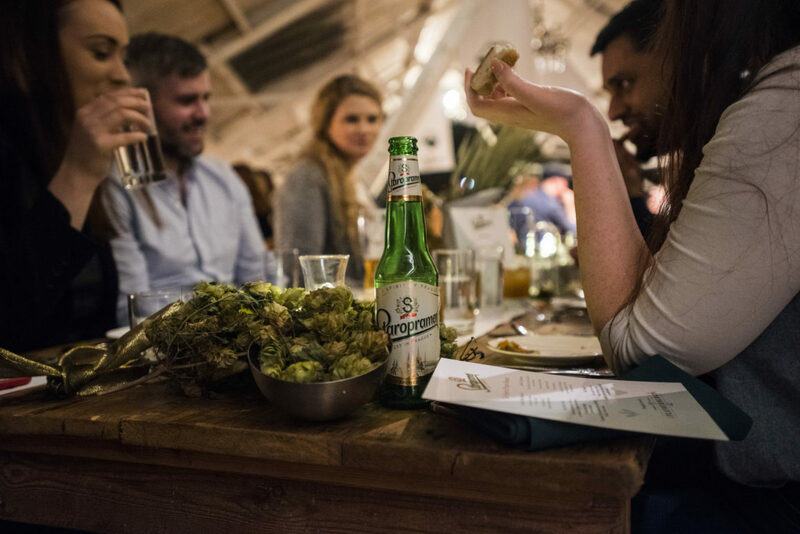 The spirit of Prague banquet was definitely the ideal way to celebrate London Beer week! Check out more of our men’s lifestyle articles here.